This article from realestateabc.com offers some good insight into the impending changes that will help buyers better understand the loans they are entering into. 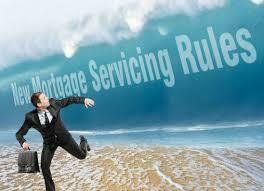 Lenders will need to make adjustments on how they process and prepare documents. Closing mortgage documents will become a little simpler for home buyers come Aug. 1 when new federal regulations go into effect. While the new forms may make the process slightly easier for borrowers, it will seriously shake up things for mortgage lenders, with some warning they may not be able to close loans as quickly anymore. The new closing forms will include just two disclosures instead of the current four. The first disclosure will be a Loan Estimate, which replaces the Good Faith Estimate – an approximation of the terms and projected closing costs – delivered a few days after a mortgage application is submitted. The second form will be the Closing Disclosure, the final settlement statement.